Famous Smoke Shop is a leading online distributor of discounted premium cigars. The company specializes in offering the web's widest selection of cigars at the lowest prices. Famous has just released a new cigar line in collaboration with Oliva Cigar Co. 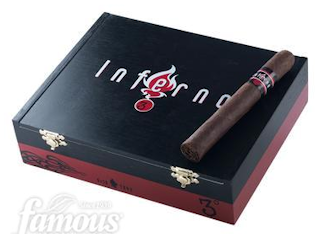 The new release is Inferno 3rd Degree cigars, and they are exclusively available at Famous Smoke Shop. (Miami, Florida) February 3, 2015— A.J. Fernandez Cigars, recognized for creating some of the most acclaimed cigars in the industry, proudly announces the unveiling of the AJ Fernandez Lounge at The Perfect Smoke Cigar Lounge, located at 213 South Lee Street, Salisbury, NC 28144. Famous Smoke Shop is a leading online distributor of discounted premium cigars. The company specializes in offering the web's widest selection of cigars at the lowest prices. Famous has just released a new cigar line in collaboration with Room 101 cigars. 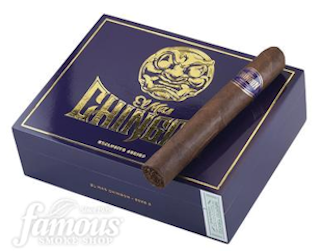 The new release is Room 101 El Mas Chingon cigars, and they are exclusively available at Famous Smoke Shop. (Miami, Florida) March 4, 2015— Roberto P. Duran Premium Cigars proudly announces the expansion of its sales force to include industry veterans Strom Farbarik and Carolee Martin. Roberto Pelayo Duran has aggressively bolstered his sales team, as this news comes only months after the additions of National Sales Manager Miguel Schoedel, Jack Torano, and Frank Cuden. Miami, Florida - Viva Republica, a premium handmade cigar manufacturer, is ready to launch a limited edition, one-of-a-kind blend named Jailbreak. Jailbreak is the latest in unique and innovative lines put forth by Jason Holly, President of Viva Republica. Jason Holly said, "Jailbreak is a new concept in where a Lancero is buried inside of a 6 X 58 cigar trying to escape. I decided to create this unique cigar in dedication to my stepfather who recently retired as a Superintendent of the Dallas State Correctional Institution." (Miami, Florida) April 17, 2015— A.J. Fernandez Cigars, known for producing consistently highly rated cigars is proud to introduce the "New World Brute" as a retailer exclusive for Serious Cigars in Houston, Texas. 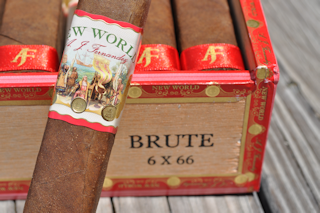 The New World Brute comes in at a hefty 6x 66 size, and will make its debut at the Texas Cigar Festival taking place this April 25, 2015. (Miami, Florida) January 28, 2015 - The Dominican Cigar Review, noted as the most important cigar magazine in the Dominican Republic, has just made public its choice of "Untamed" by La Aurora as Cigar of the Year for 2014. La Aurora "Untamed" was unveiled last July in the IPCPR Show, in Las Vegas. Miami, Florida, April 15, 2015 – Gran Habano Cigars announces the official release of its long-awaited latest edition of a very popular cigar to join the S.T.K. lines manufactured in Miami at G.R. 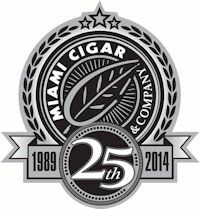 Tabacaleras Co.
MIAMI CIGAR & CO. CELEBRATES A MILESTONE 25 YEARS IN BUSINESS BY "PAYING IT FORWARD"
(Miami, Florida) January 20, 2015— On the heels of coming out with their new image, Miami Cigar & Company closed out an amazing 2014. The company celebrated the end of their milestone 25 years in business with an exclusive Holiday Toy Drive. The function served as the company's last soiree. It also marked a successful year which boasted a rebrand of the Nestor Miranda Collection. 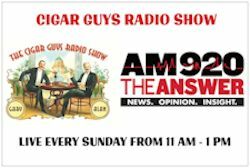 Join the Cigar Guys Radio Show live from 11 AM - 1 PM every Sunday on Atlanta's AM 920 The Answer. Don't live in Atlanta? No problem! 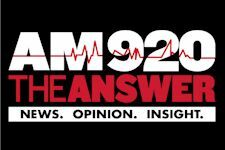 You can listen to the show via TuneIn Radio (search for AM 920 The Answer) or via the Cigarguysradioshow.com simulcast button. All their previous shows can be found on iTunes, Stitcher, or wherever you obtain your podcasts. One of the great guys in the cigar brotherhood passed away due to a sudden heart attack. Kerry Doetzel (drillrk1) was a friend of mine for over a decade. We first met in Springfield at the 2001 Land of Lincoln Herf (LOLH), of which he was one of the organizers. We hit it off immediately and became close friends over the years. I stayed at his home at a number of those herfs, many times remaining up late into the night while smoking fine cigars and drinking Lagavulin single malt. We did the same at the SoCal herfs for several years. Fine times those were. Kerry was a big man with an even bigger heart. Many of you reading this were recipients of his overwhelming generosity. I still have three of the Club Epicure 2000s he gifted me. One I smoked upon the births of my twin grandchildren this past June. I’ll smoke one of the remaining in memory of Kerry. (Miami, Florida) March 17, 2015 -- Roberto P. Duran Premium Cigars & Azan Tobacco Group proudly announces its partnership with Eric Piras. Roberto Pelayo Duran continues to make aggressive moves to further expand Roberto P. Duran Premium Cigars. Richmond, VA -- General Cigar Company today announced the acquisition of the Toraño Family Cigar Company brands. This acquisition will strengthen General Cigar’s market position and enhance the company’s product mix to deliver greater value and innovation to its retail customers and consumers. It will also allow General Cigar to further expand its exceptional portfolio of leading brands by offering opportunities within the company’s international footprint, while presenting significant growth potential in the domestic market. (New Jersey, March 23, 2015) Starting in April of 2015, Tobacconist University (TU) will hand off their consumer certification program to Certified Retail Tobacconists (CRT). The University updated this program, allowing certified retailers the exclusive right to administer final exams to consumers who want to become certified. TU anticipates that these changes will elevate credibility throughout the luxury tobacco industry and strengthen retailer/consumer bonds. Cigar Weekly announces the launch today of a new and improved online magazine devoted to cigars and the cigar lifestyle for regular people at www.cigarweekly.com. The redesigned magazine promises to be a premium destination for 'lovers of the leaf', and will include regular features focusing on cigars, pipes and tobacco. But these are just one part of the cigar lifestyle. And so we'll also offer articles on preparing delicious food from all over America and the world, on travel to cigar hotspots around the world, on beverages (particularly fine Scotch whiskies, but not limited to them), as well as the latest in cigar news and 'down-to-earth', unique reviews of individual cigars done by regular guys. (March 17, 2015) Smooth draws? That's the expected greeting to all listeners calling The Cigar Guys Radio Show, a new cigar lifestyle talk show that will air its first broadcast on Atlanta's AM 920 The Answer on March 22 from 11 AM – 1 PM (ET). Smooth draws signifies the ease in which a cigar yields a mouthful of flavorful smoke. That's how the Cigar Guys envision their show - smooth and enjoyable! Tamboril, Dominican Republic (July 8, 2014) – Nomad Cigar Company is pleased to announce the release of a Belicoso sized cigar to its popular Connecticut Fuerte collection. MIAMI, FL – Viva Republica™ is pleased to announce the release of its Limited Edition Culebra. The company has produced one thousand (1,000) coffins, each containing a traditional three-piece culebra. The Culebra is comprised of three unique blends, featuring that of the company's Rapture, Rapture Maduro and Guerrilla Warfare brands. La Aurora issues warning, the Lion has gone rogue!